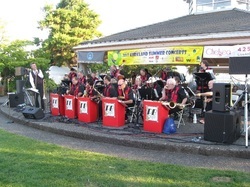 THANK YOU so much for helping to make the Kirkland Summer Concert Series a success this year!! Your donation is tax deductible, through the Kirkland Downtown Association 501c3 - Please print your PayPal receipt for your records. We will see you at one of our concerts soon!